Winner of the Leicester Mercury Comedian of The Year title in 2010 and finalist in So You Think You're Funny? 2008, a few months after he started stand-up. 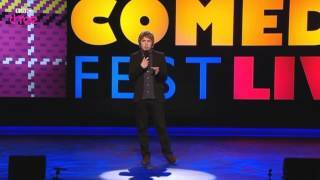 We do not currently hold contact details for Josh Widdicombe's agent. If you are a comic or agent wanting your details to appear on Chortle, click here.